New Zealand Prime Minister Jacinda Ardern has given birth to a baby girl at Auckland City Hospital. Ardern posted a photo on her Instagram account showing her and partner Clarke Gayford with the baby at the hospital. She wrote that she was feeling very lucky to have a given birth to a healthy girl, and that their daughter arrived at 4:45 p.m. weighing 3.3 kilograms (7.3 pounds). Ardern thanked everyone for their kindness and said they were all doing really well. She also thanked the team at the hospital. New Zealand's Prime Minister Jacinda Ardern has arrived at Auckland Hospital as she prepares to give birth to her first child. 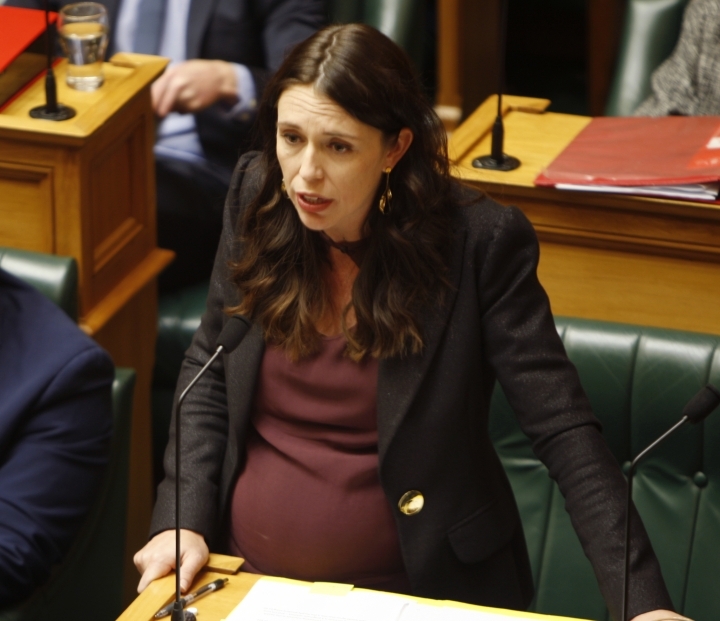 Ardern's due date was June 17. The birth has been highly anticipated in the South Pacific nation of nearly 5 million people. She has not said whether she's expecting a boy or a girl. Ardern's office confirmed just after 6 a.m. she'd arrived at the hospital with partner Clarke Gayford. Deputy Prime Minister Winston Peters has now taken over as acting prime minister. Ardern plans to take a six-week leave before returning to work.